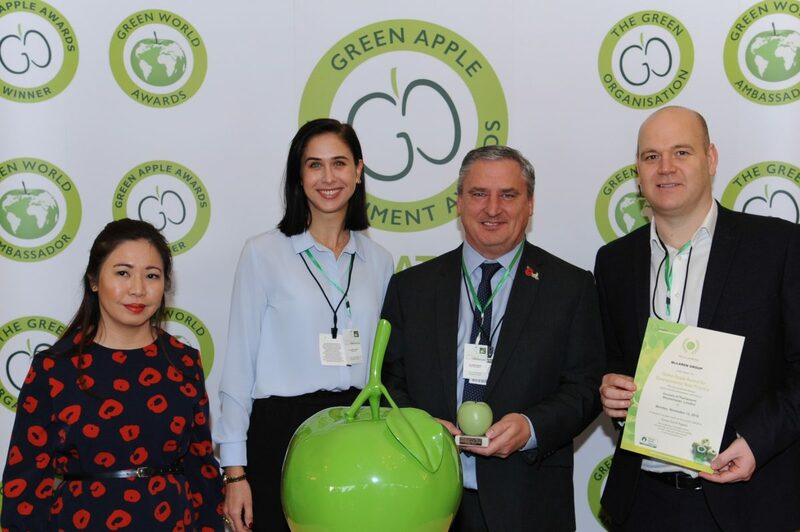 In 2018’s Green Apple Awards, McLaren won a bronze award for Environmental Best Practice for its work on an education and residential construction project with environmental consultant Greengage. The work was part of McLaren’s Energy Savings Opportunity Scheme assessment. Greengage helped McLaren to calculate its energy usage across the business. The Nile Street project was selected as a pilot to record and monitor energy usage, water consumption, air quality, temperature and humidity levels on site in real time. By cross-referencing these data with site activity sheets, it was possible to identify peaks of energy usage and the likely causes, and then look for ways to reduce them. This was an innovative way to monitor environmental data. The Nile Street scheme is on track to achieve a BREEAM ‘Excellent’ rating. Greengage’s monitoring system benefits McLaren in the medium to long term by identifying the energy and water demands on live projects, thus assisting in reducing the environmental impact and cost. At Nile Street specifically, Greengage looked at ways to improve ventilation in the site cabins during particularly hot or cold periods to improve efficiency and comfort. The Green Apple Awards are the longest-serving international environmental awards. 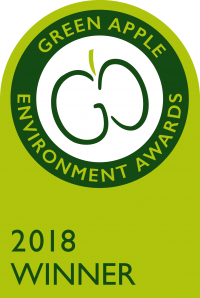 The main aims of the awards are to improve environmental performance, to encourage the efficient use of resources and to support the wider goals of sustainable development.